The Babolat Propulse Fury All Court Fluo Yellow & Black men's tennis shoe is one of our favorite tennis shoes here at TennisTopia. 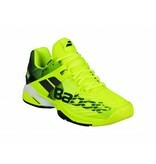 This shoe is accompanied by it's two main colors which is accompanied by gradients of those colors. 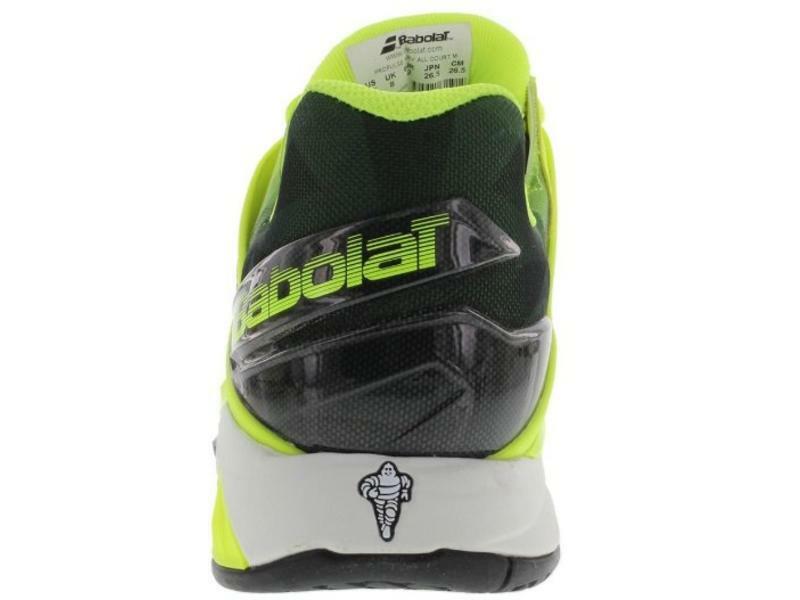 The Babolat Powerbelt locks your foot in against the heel cup as you tighten the laces, giving you the best in support on the market. 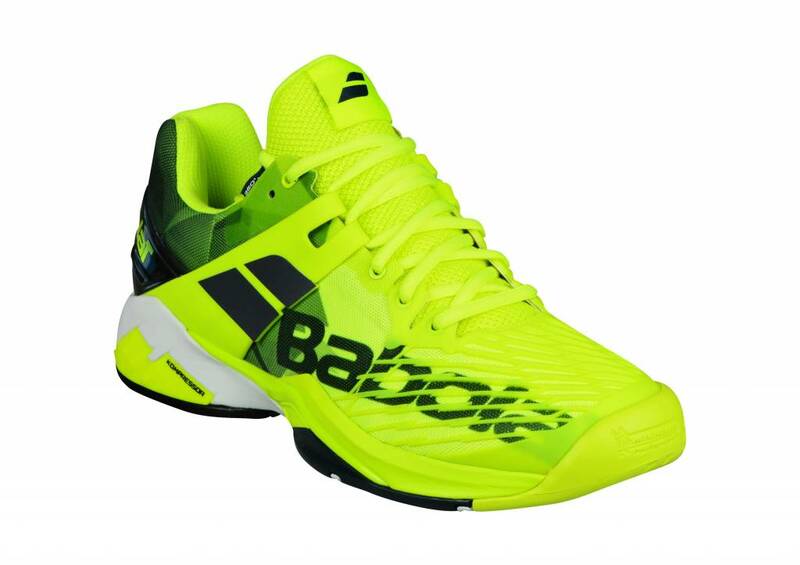 The shoe fits slightly wider than most other tennis shoes, while still not being as wide as a "wide/4E" shoe. 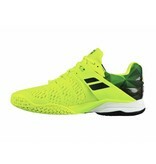 The support that the shoe offers is unrivaled. 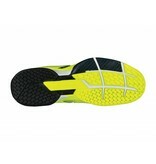 In our sustained use & abuse of this shoe, we showed the Michelin rubber lasts as long as any shoe. 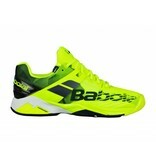 Babolat's Active Flexion technology & design target/optimize vital pressure points around the foot. 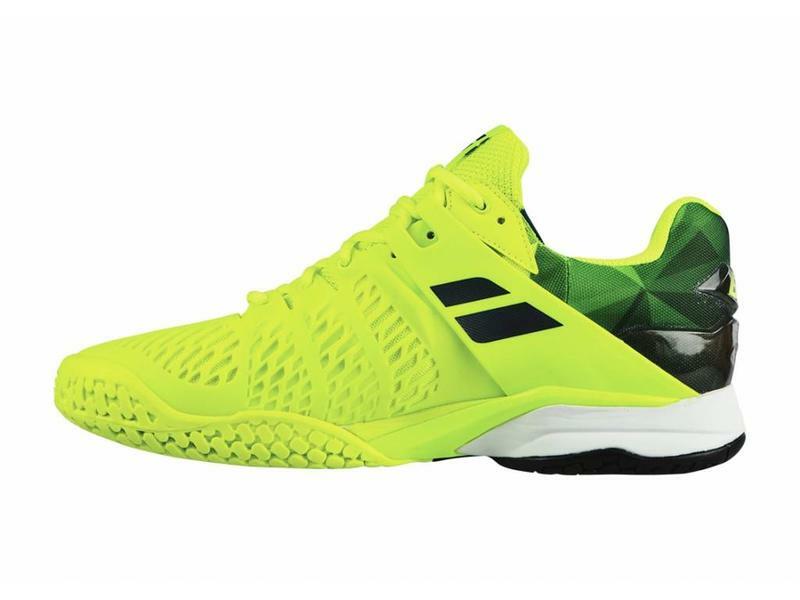 The Propulse Fury is a true champion in support, comfort and durability. 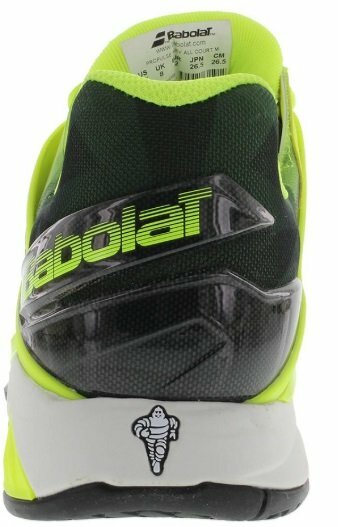 Upper: Babolat's Cell Shield adds a honeycomb-style structure around the foot, variating in cell size to promote comfort and durability. 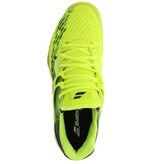 The Propulse Fury features a high collar at the ankle giving you extra heel support this shoe excels at. 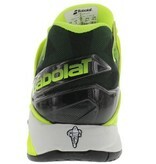 The Powerbelt, which wraps from the heel to the tongue, gives you unrivaled lateral support with it's polyester belt. 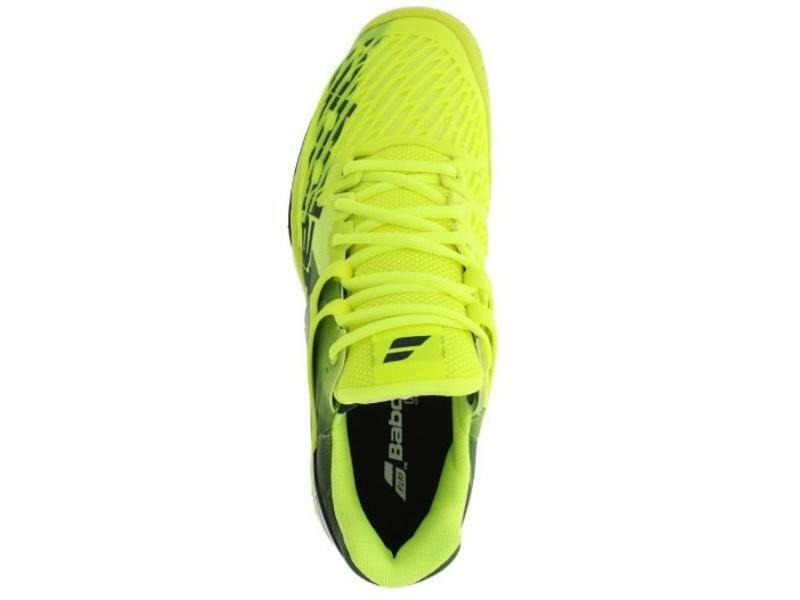 Inner: The 360 Insock gives you that great slip in feel and cushioned fit. Midsole: The Michelin Kompressor system helps with court impact and provides a little extra inward stability for slides. Outsole: All court outsole. 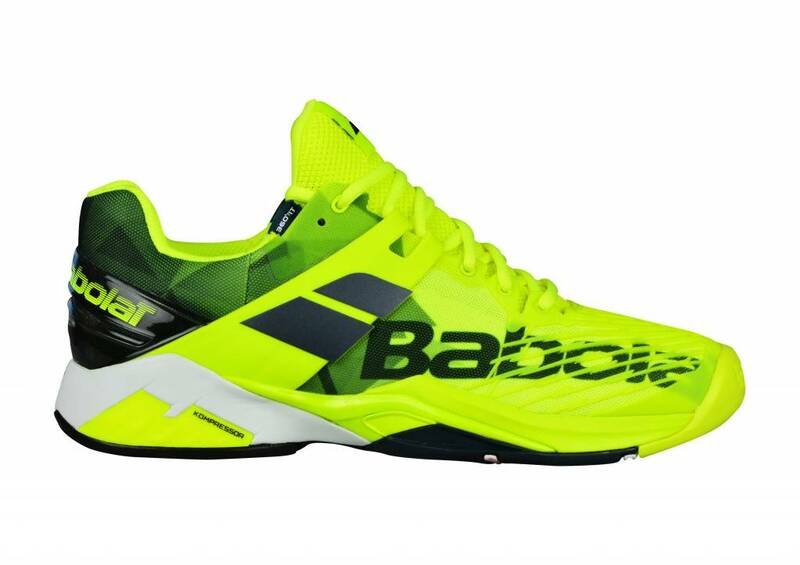 Collaborating with Michelin R&D, Babolat's and Michelin's team took inspiration from Michelin's road rally tires. 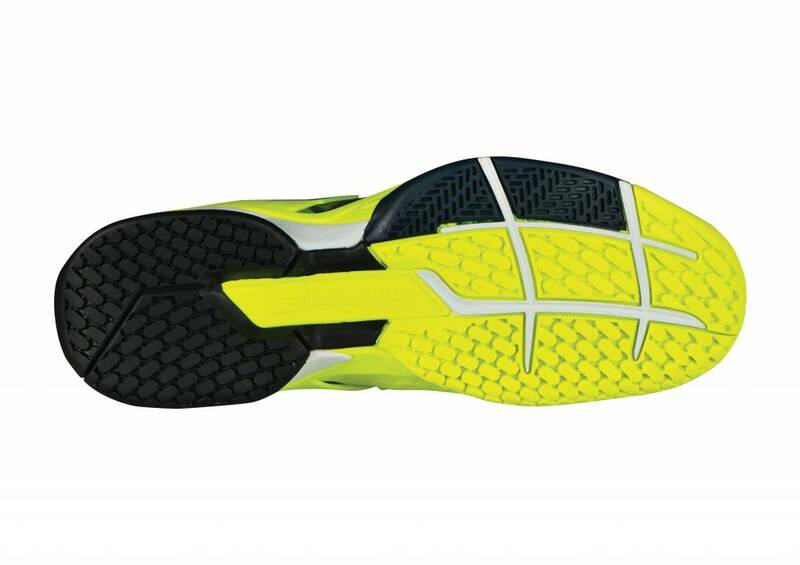 The team developed a sole for long-lasting traction and exceptional performance. They constructed a sole paying close attention to thickness, sculpture and rubber composition to ensure an exceptional outsole.